The Minister of Foreign Affairs Given Lubinda has been fired and Vice President Guy Scott is expected to follow soon and will be replaced by Wynter Kabimba, among others being considered. No announcement of Lubinda’s dismissal has been made in fear of antagonizing Lozi voters in Livingstone who constitute a sizeable voting population but pressure from the cartel is reported to have mounted on the President to act. Wynter who is currently embroiled in a U$500 million Trafigura oil corruption controversy has been appointed to act as Minister of Foreign Affairs pending a formal announcement that will be made soon. But some PF Central Committee members have also confirmed with the Daily Nation that Lubinda was not allowed to actively participate in the operations of the party until his pending expulsion case was heard by the party’s supreme committee which is the Central Committee. And one of Lubinda’s confidants in Kabwata Constituency told the Daily Nation that Lubinda has even stopped using his ministerial vehicle. “Ask him if he has been to his constituency since these issues started. He has never been. They have stopped him from meeting any of the PF members even area development committees. He cannot address any meetings. It is sad and honestly they have finished Lubinda. He feels a stranger in the PF,” said a senior PF Central Committee member who spoke on condition of anonymity. The source revealed that the PF leadership had even instructed the party at lower organs to start indentifying people to contest the Kabwata seat among the current serving Lusaka councilors. Wynter together with Sylvia Masebo have mounted a campaign against Lubinda. The revelations arose from a point of order in parliament yesterday when UPND Zambezi East MP Charles Kakoma asked why Lubinda was not sitting in his traditional seat on the front bench next to Wynter Kabimba. In response Speaker Patrick Matibini said Lubinda was in order as certain changes had been notified to him, which changes he hoped the appropriate public relations wing would notify the nation about. 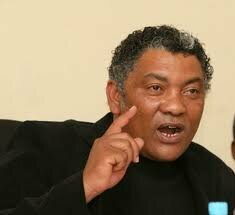 Earlier State House claimed that Lubinda was on leave and was not therefore available to serve. The source said, “The story you carried out in your paper a few months ago about Mulenga Sata being earmarked for the adoption of candidate for the PF in Kabwata is what is happening. Watch the space because some of us are perceived to be rebels in the party we have helped into government because of the critical role we have taken against the conduct of some individuals in government. We have tried to advise the leadership that issues to do with Lubinda are critical and we have to be careful in the manner we handle them. But it is clear that he has been demoted and expelled but they have not just informed the nation.” The source said that Mr. Lubinda was also not allowed to hold developmental and mobilization meetings in his constituency.A comment from both Mr. Lubinda and PF national chairperson Inonge Wina proved futile as their phones went unanswered by press time.